I have been wondering for a while what to write for our December news. We are experiencing a time of unease and disorientation in this world of ours and it seems to me that we face a very uncertain future. 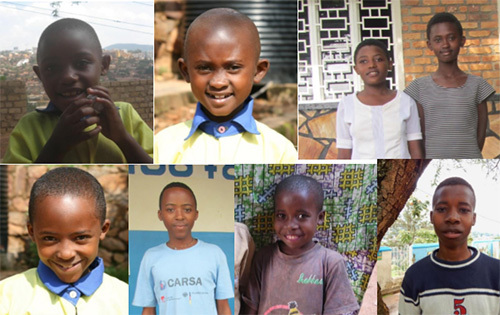 So I decided to concentrate on what is truly good and optimistic about the project in Rwanda. At the same time I wish to emphasise that nothing at all would be possible without you and your support for me and the team out there. I am so grateful for the faith you show in me and what we are achieving for the children and families. Without us I am ever more certain, as time passes, that they would not even be able to dream of what they are achieving now. People ask me sometimes why I do it. One answer would be that I do it in the hope that one day these children, as adults, will be able to shape a better world. The photographs below show how much of a difference we are making so far. 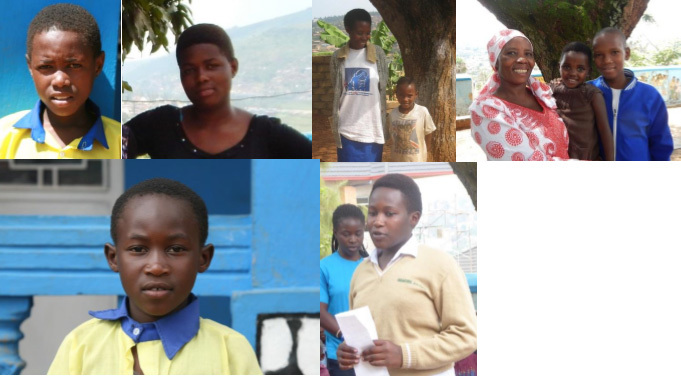 Our sponsored children are benefiting from the regular food programme and are growing up into strong young adults. Through our educational opportunities, both in school and with extra-curricular programmes, the students are developing into confident, happy, and successful young people with ambition, drive, and the will to improve. We cannot ask for much more. 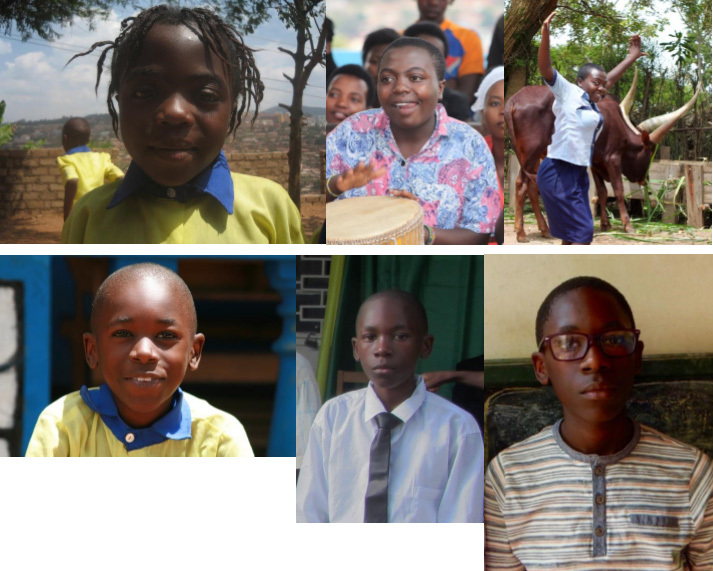 I have looked through old photographs from 2008 to 2010 and picked out children who were with us then and who are with us now, either at secondary school already, or preparing to go in January to show just how much of a difference we are making. With ambitions to be a doctor, a pilot, a hairdresser, a driver – a football crazy arsenal supporter – name it, we want to do it! One of our sport stars who has been invited to train with the Rwandan cricket squad. Doing really well with his studies and proud to be in the secondary school dance troupe. My hope is that one day these young people will realise their dream, whatever that may be and with your help we will enable them to do so. And then there is the one student who is always guaranteed to raise a smile, I will miss her next year when she goes to secondary school. Full of fun, always kind and helpful, a leader, an organiser, a start in the dance troupe and very popular – who knows what her future will be? And finally, one of our academic stars. Starting with us in the nursery, graduating to secondary school, now in Senior 3 and with top marks in the District in the National Examinations. With ambitions to be a doctor and a desire to help others. I am very proud of what the project is achieving and am very happy to have been able to report some of our successes. I hope it has brought a few moments of hope for the future, at least in one corner of the world. I say thank you and thank you again for supporting me, the staff, the children, the community. We all know how important you are to us. On behalf of everyone in Kigali I wish you the best of things for 2017 – health, happiness, peace and love in your lives.